Leon Haslam has said getting a strong start from the front row of the grid will be crucial in tomorrow's opening Bennetts British Superbike race, but expects a strong charge from RAF Regular and Reserves Kawasaki rider Jake Dixon. 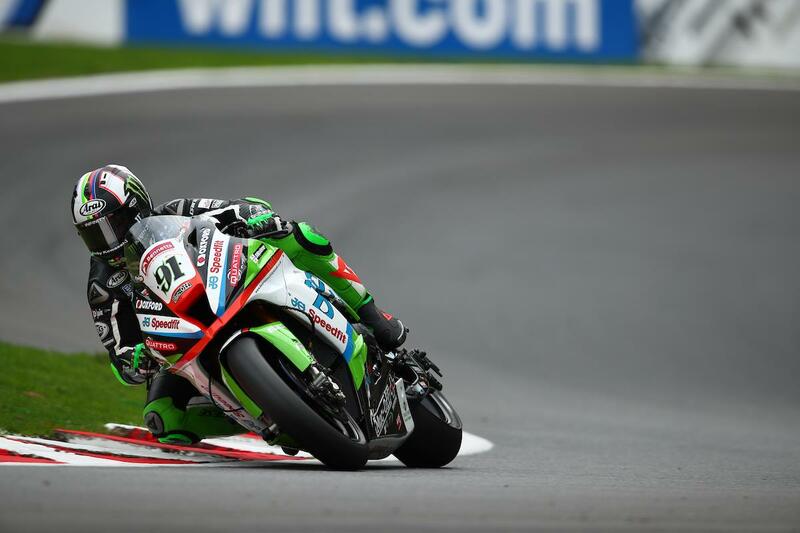 The two Kawasaki riders, who shared the practice spoils, will start second and third on the grid for the opening race respectively with both keen to get away from the start with overtaking notoriously difficult at the Lincolnshire track. Haslam’s JG Speedfit Kawasaki team completed an engine change over-night after as they tried to find a similar feeling to that Haslam had enjoyed at a test at Cadwell a month ago, and that among other changes helped get the 35-year-old more comfortably at the sharp end, missing out on pole position by just 0.036 seconds. “We have been faster around here before, but I’m pretty happy with the front row as that was our main aim,” Haslam said. “I feel like we’ve got good rhythm for race pace and our tyres are lasting. There are a few things we want to change, not really for performance but just to make things a bit more comfortable for race distance. “It’s not easy passing here, but I’m strong in sector one and that’s good as it leads into the best passing point on the circuit at Park. Where I’m losing time is through the last sector, but that’s OK as it’s much harder for people to pass through there.